I was just playing with Photoshop CS3. 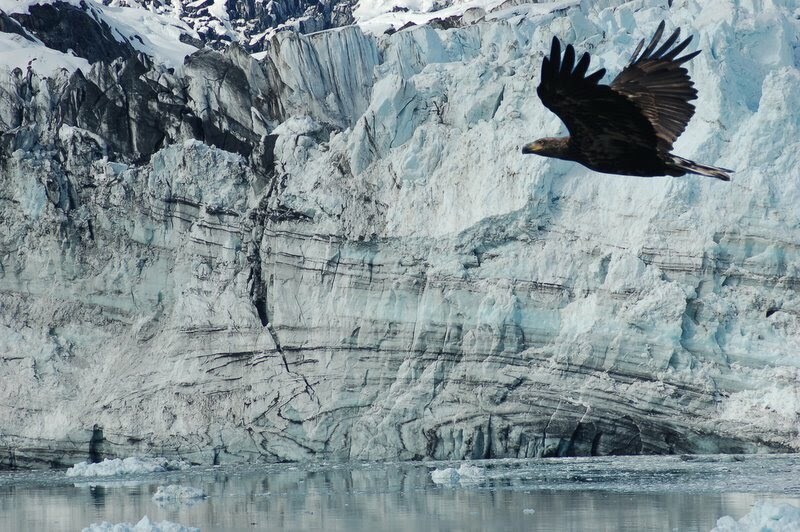 I combined a photo I liked of a bald eagle with one of my favorite phots of a glacier in Alaska. The glacier was in Glacier Bay National Park. I did it just for the heck of it to practice using some of the applications in Photoshop CS3.